Hannah Shaw is a dedicated animal rescuer and founder of the viral advocacy project, Kitten Lady. 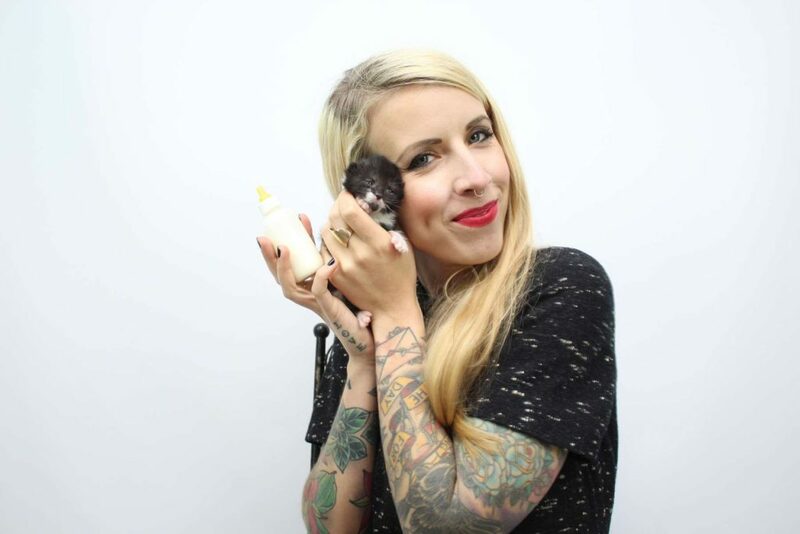 With over a decade of experience in the animal protection field, Hannah has rescued hundreds of neonatal kittens, directed national advocacy campaigns, and trained dozens of shelters and thousands of individuals about innovative approaches to the protection of felines. Hannah's personal mission is to create a global change in the way we perceive and treat animals -- especially the tiniest felines, orphaned kittens. She lives in Washington, DC with her two cats, Coco and Eloise, and a revolving door of adorable foster kittens that you absolutely need to follow on Instagram. In this episode, Hannah shares stories from behind-the-scenes of fostering and activism. We talk about how unsexy most of the daily steps are when you're working to create meaningful change in the world, and she tells us the details of how she first got involved in animal activism at a pretty young age. We talk about social media - especially how Hannah manages to draw boundaries around it while still delighting her hundreds of thousands of followers. She shares why she dislikes the phrase "crazy cat lady", and we talk about gender identity and the necessity of speaking truth to power. Hannah also shares personal stories - like the adorable tale of how she met her partner, Andrew - and all throughout each story and topic we cover, Hannah's honesty and introspection is wonderfully refreshing. As I told her at the start of this conversation, she's my absolute favorite person to follow on Instagram, and I hope you love getting to know more about her as much as I did!